CA, May 2018: BlackBeltHelp, a leading help desk products and services provider across the US, today announced the appointment of Tracy E. Thomson as the President. Tracy has taken an overall responsibility for BlackBeltHelp’s continued business growth and success across North America. Tracy has served higher education as an executive in educational technology for over 20 years. She has helped businesses thrive through tactical marketing initiatives, focused consultative techniques, and effective brand management in profit and non-profit markets. Prior to joining BlackBeltHelp, she served organizations like Pearson (Embanet), Desire2Learn, Kaplan in various top-level roles. “I am very excited to have joined BlackBeltHelp at such a critical time in its development. 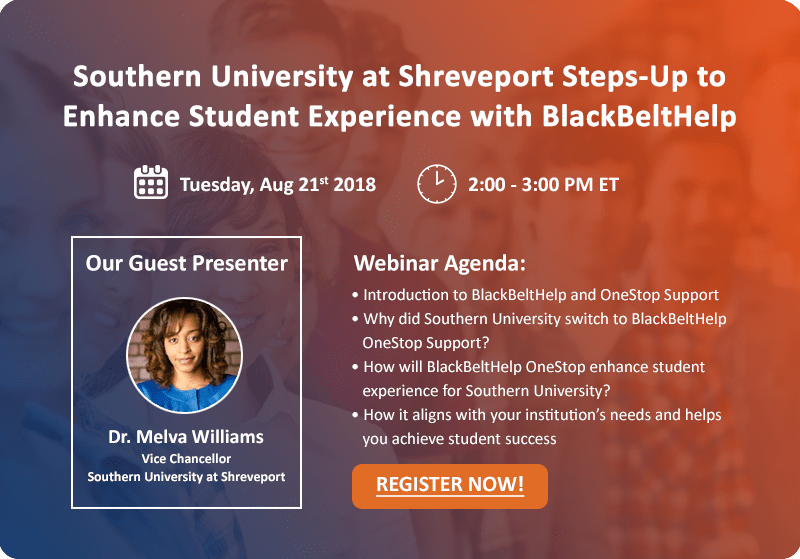 With the company’s recent transition to OneStop Support Model, BlackBeltHelp has reaffirmed its focus on helping institutions achieve student success. I am committed to further expand the BlackBeltHelp community by balancing relationship management, institutional operations, marketing, enrollment and business development,” said Tracy. “I have two decades’ experience working in higher education with leading universities like National Louis University, Case Western Reserve University, Kent State University, and Western New England University to name a few which I believe will help me carry out my responsibilities in this role successfully", Tracy further added. She has completed her Bachelors of Science in Communication from Northern Illinois University and holds a certificate in Project Management from Villanova University. “Tracy is a proven leader who has deep understanding of our clients, strategy and operating model. Her over 20 years of experience in higher education realm with organizations like Pearson and Desire2Learn will certainly help us in deepening our business relationships. Tracy’s appointment goes hand-in-hand with the company’s transition to OneStop Student Support Model. I am confident that her leadership will result in stronger global collaboration and positive outcomes for us," said Ron Bhalla, CEO at BlackBeltHelp.